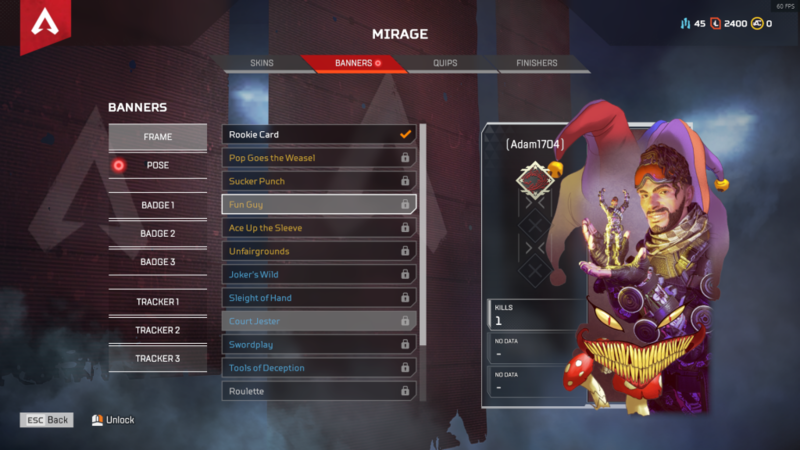 Deck yourself out with some legendary bling. 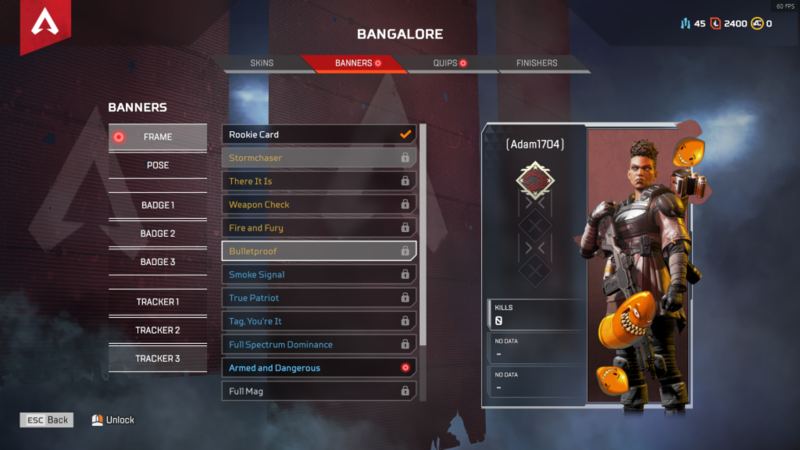 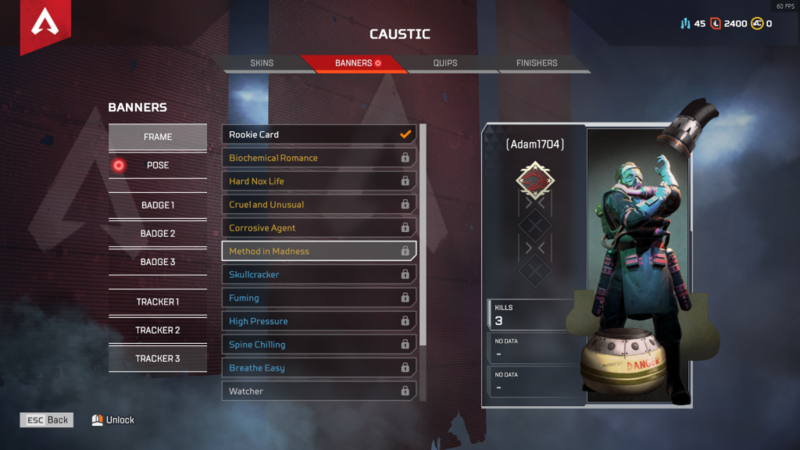 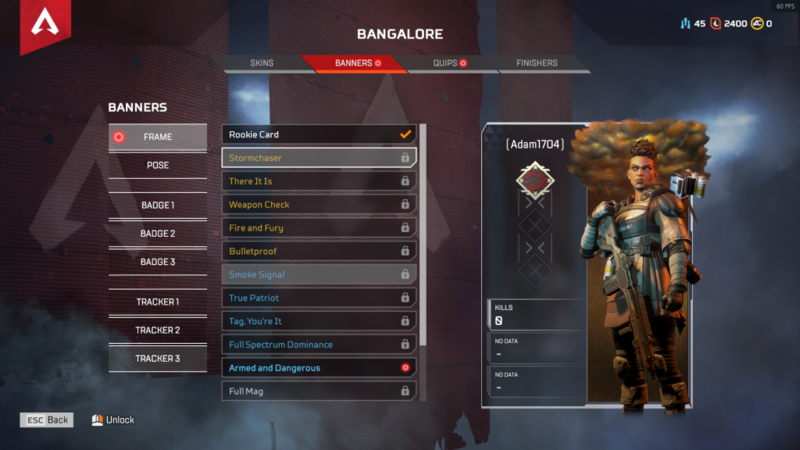 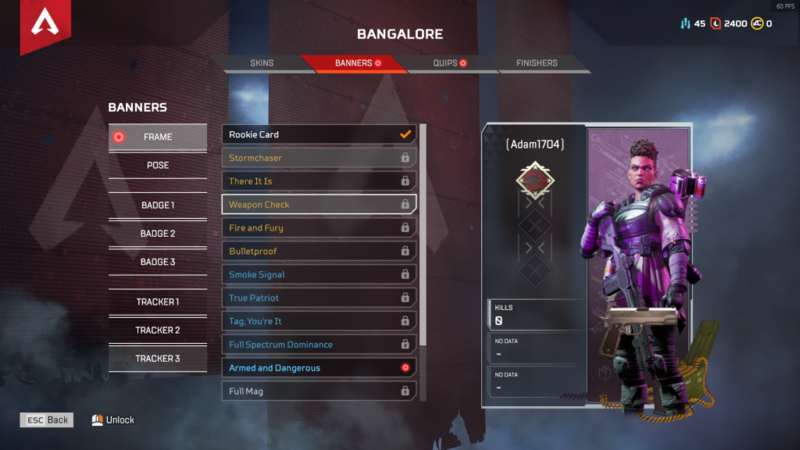 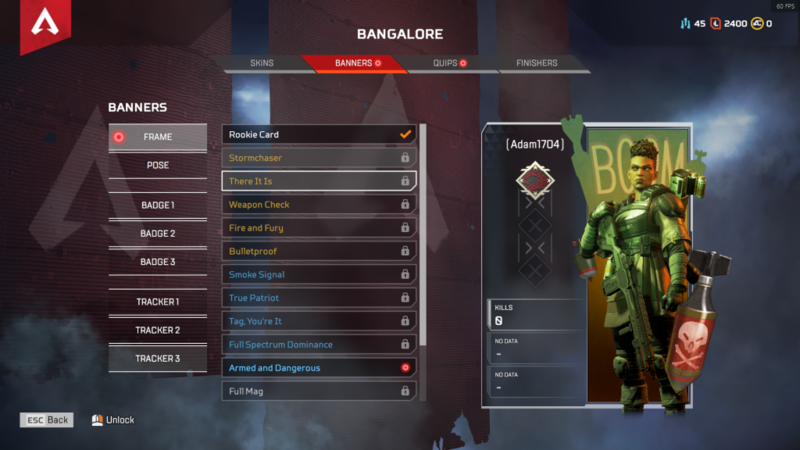 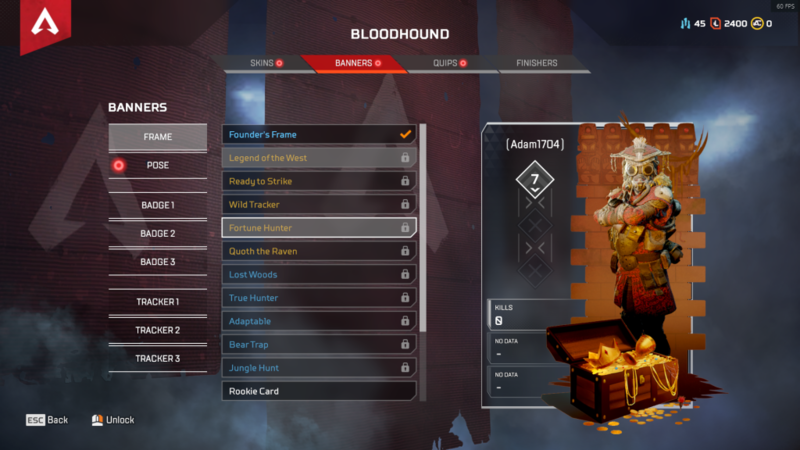 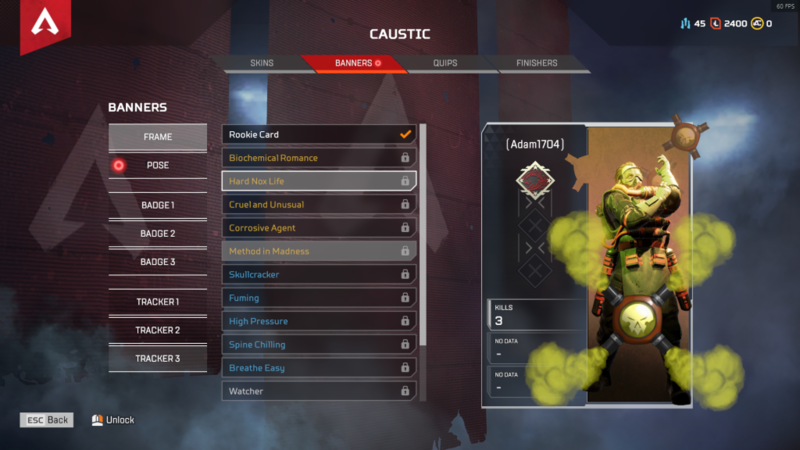 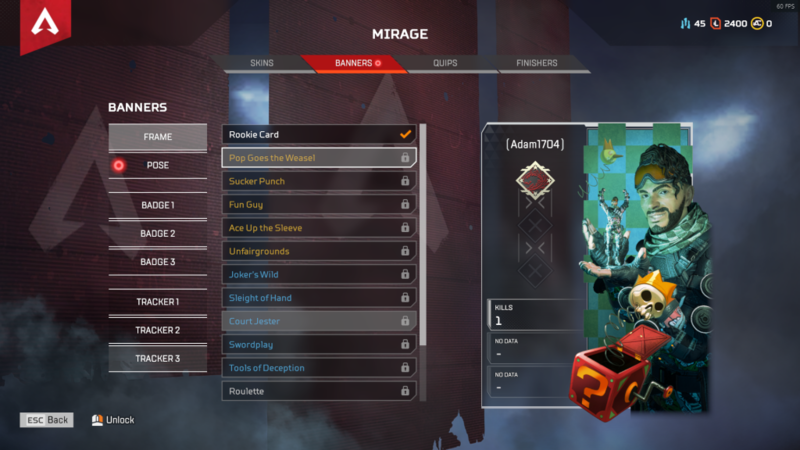 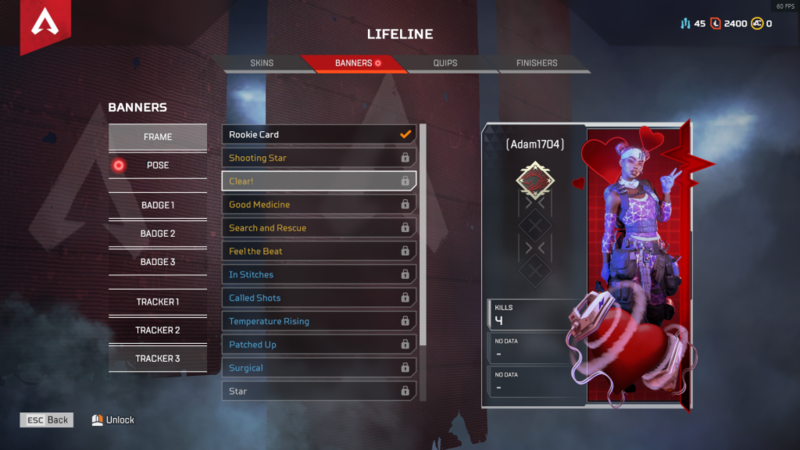 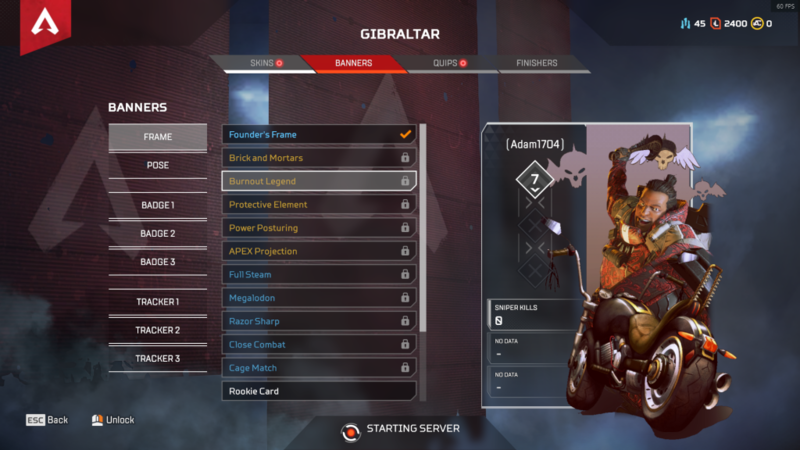 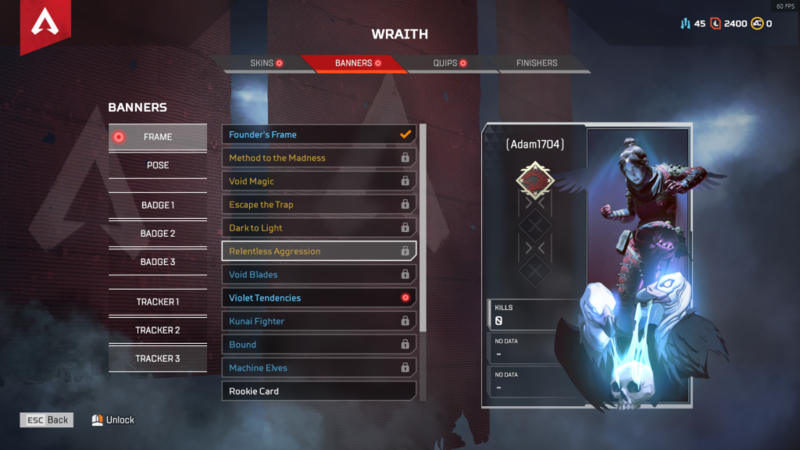 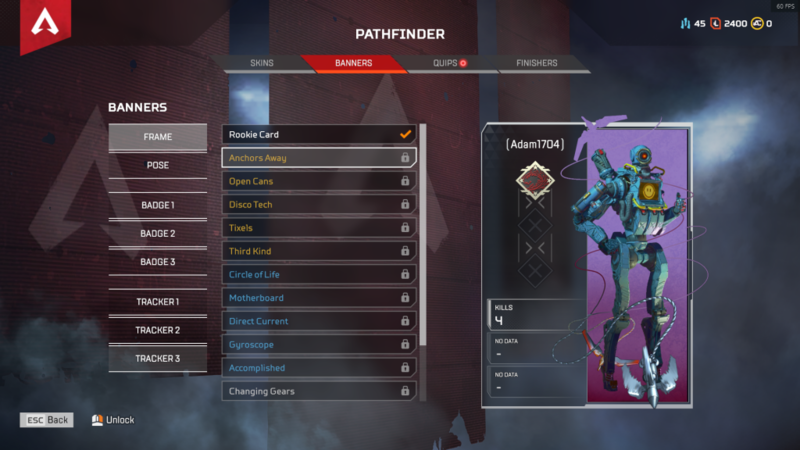 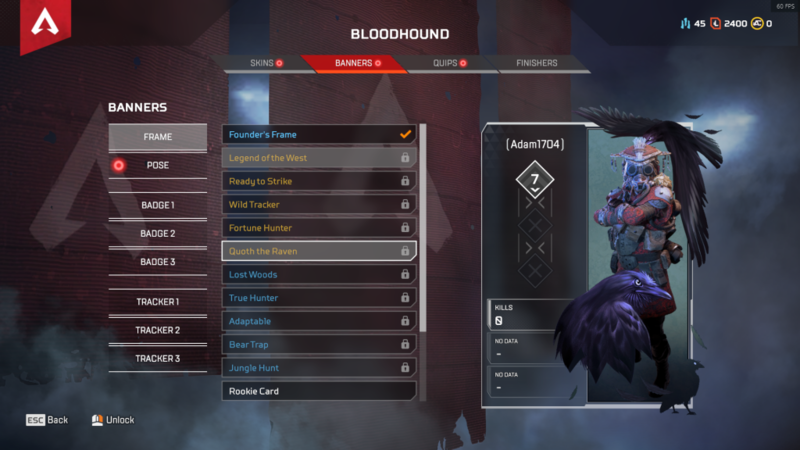 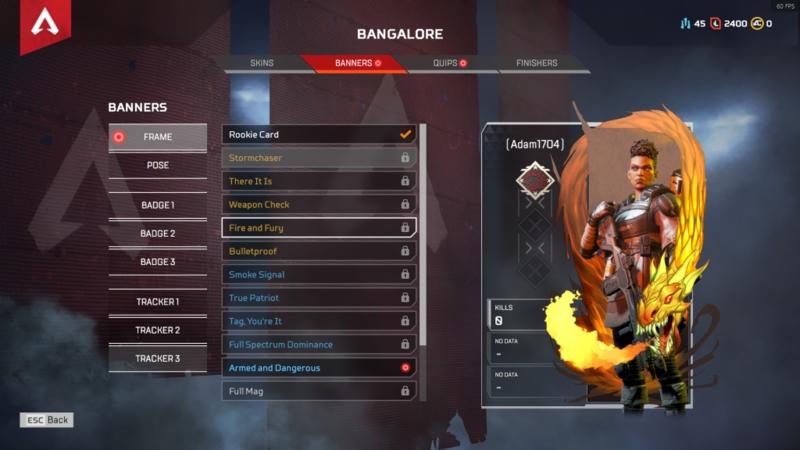 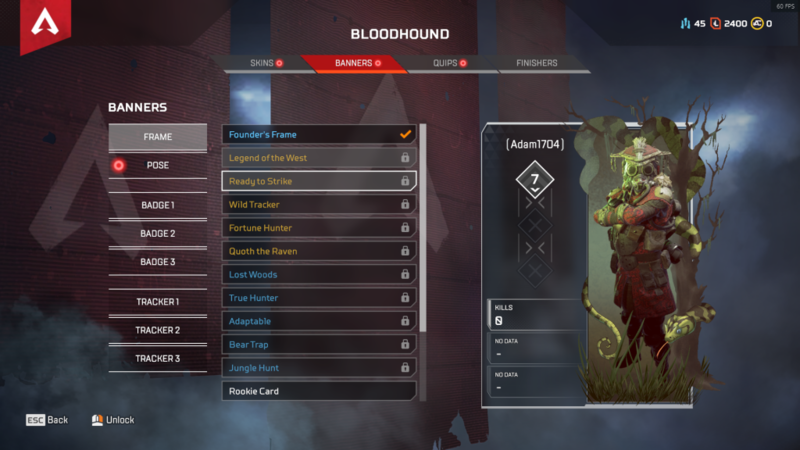 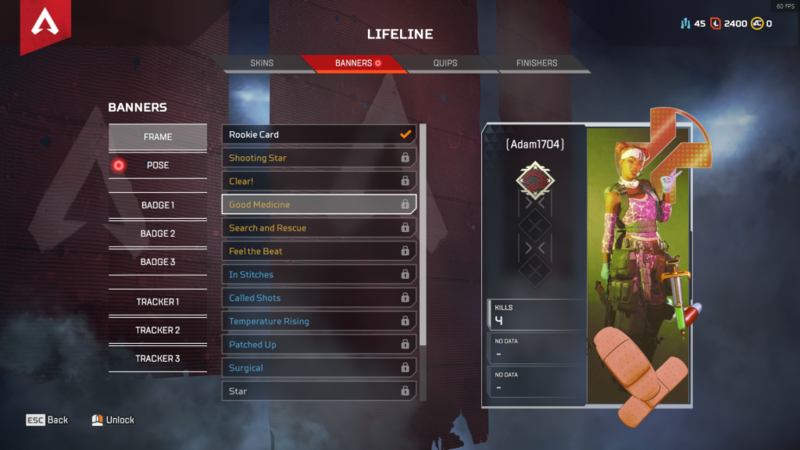 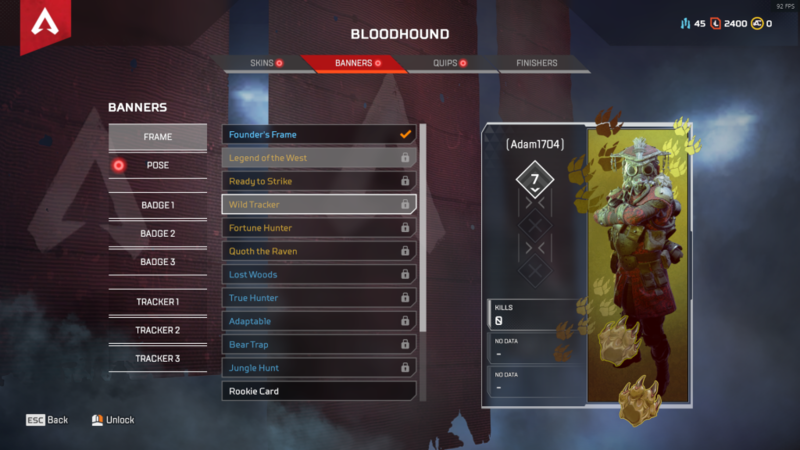 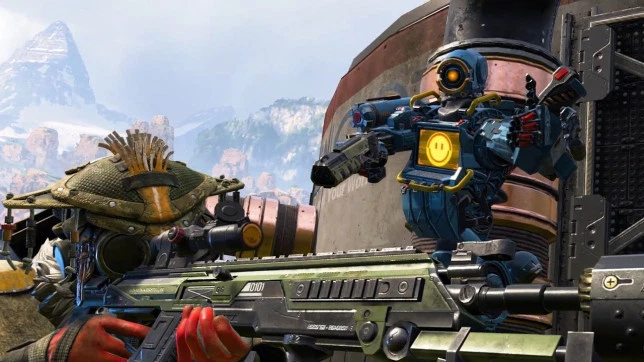 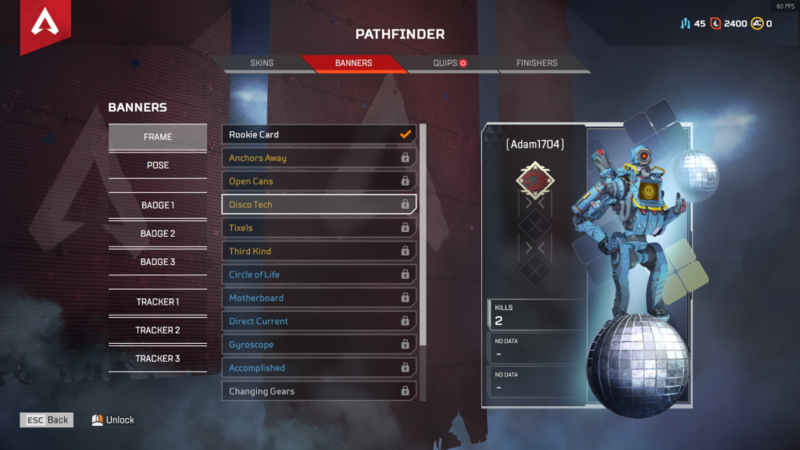 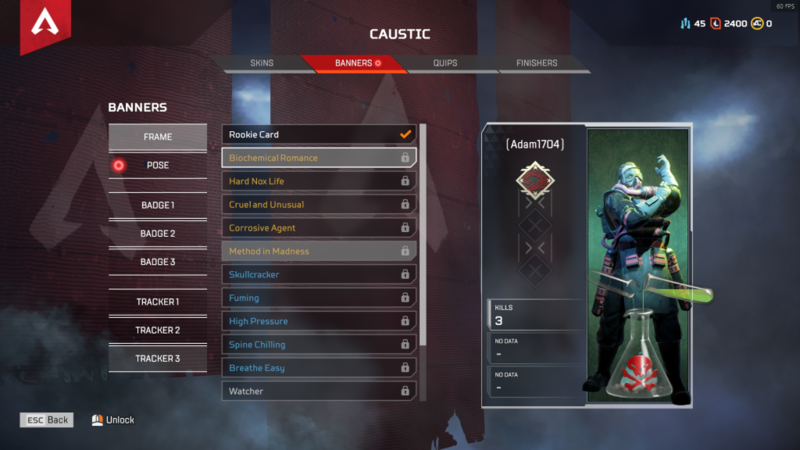 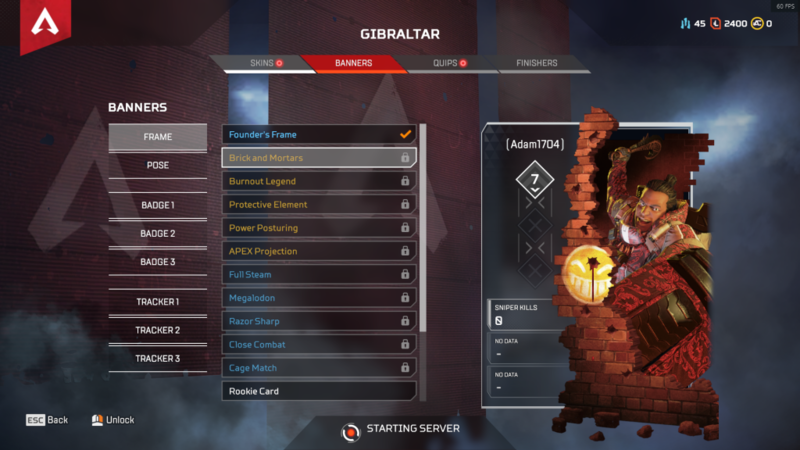 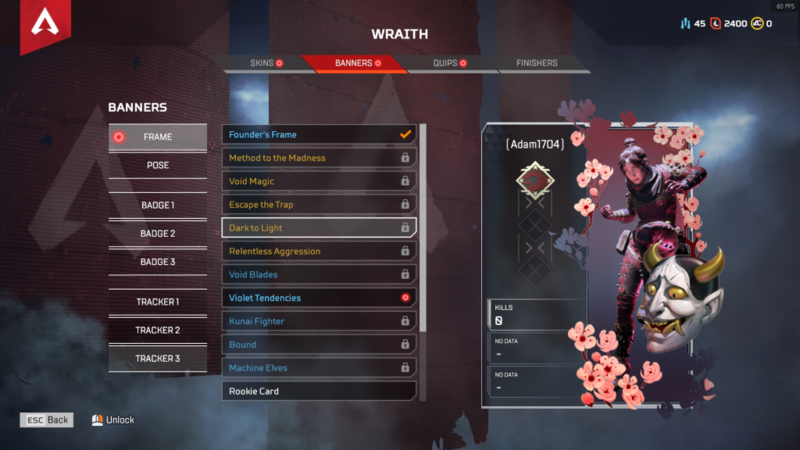 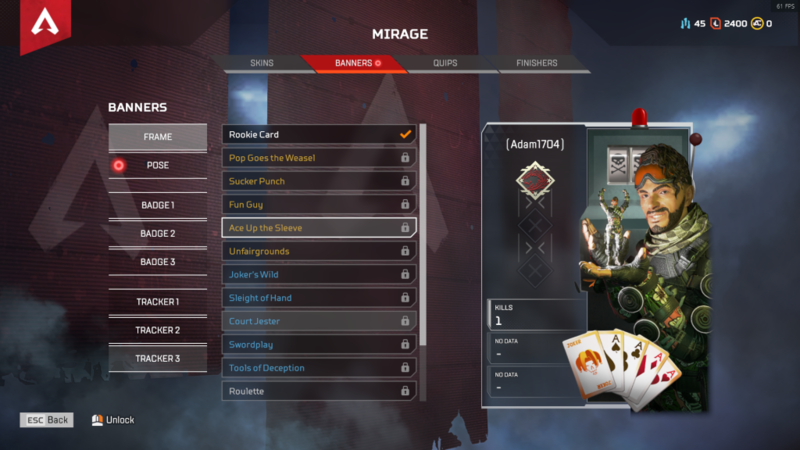 Apex Legends, the latest battle royale game to be released, has a pretty cool way to show off your exploits and achievements while playing the game. 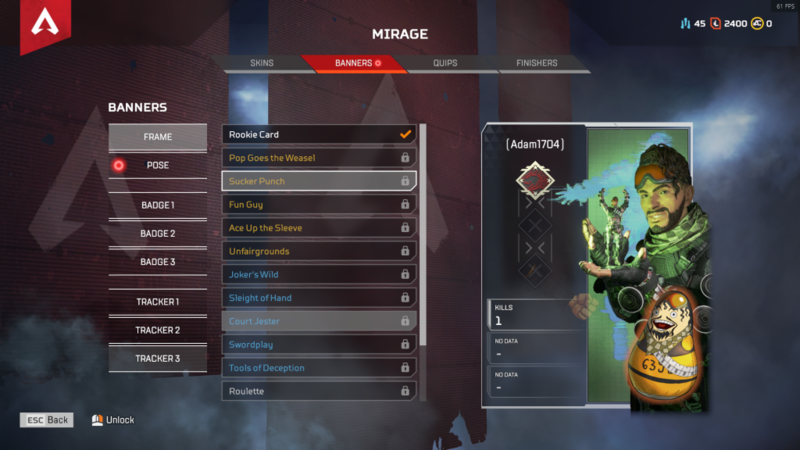 Known as banners, these pictures act as a way to show off your character using a bunch of different badges that boast your level, kills, or accomplishments. 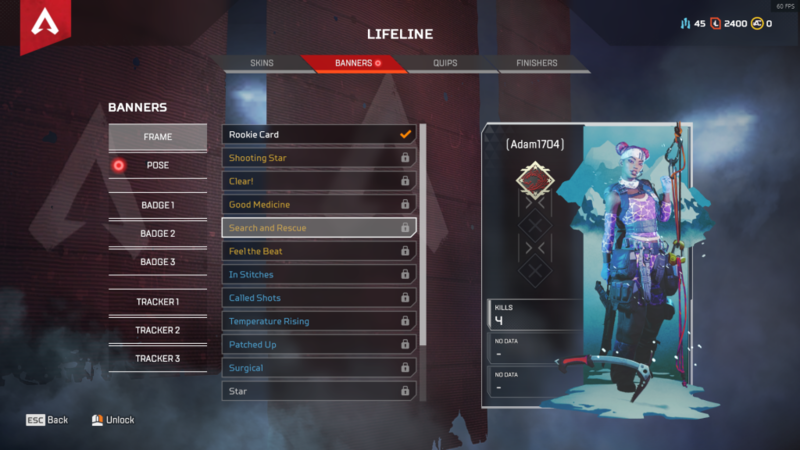 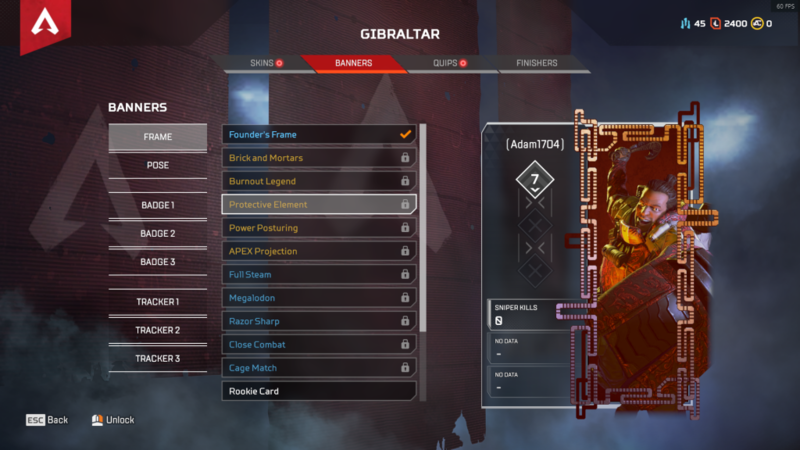 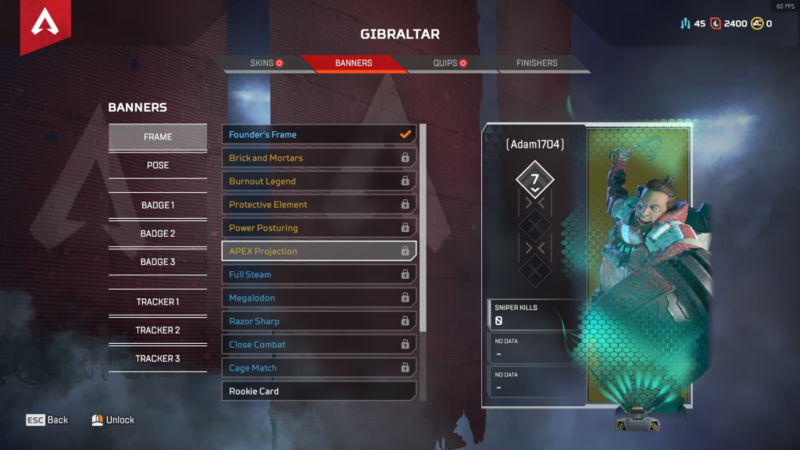 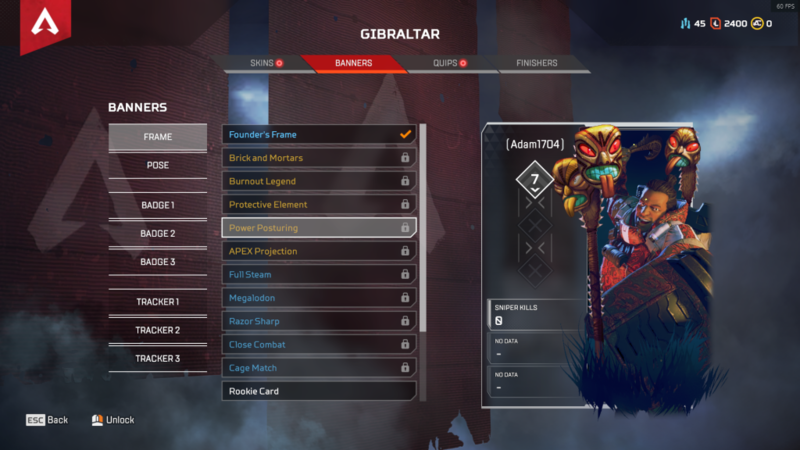 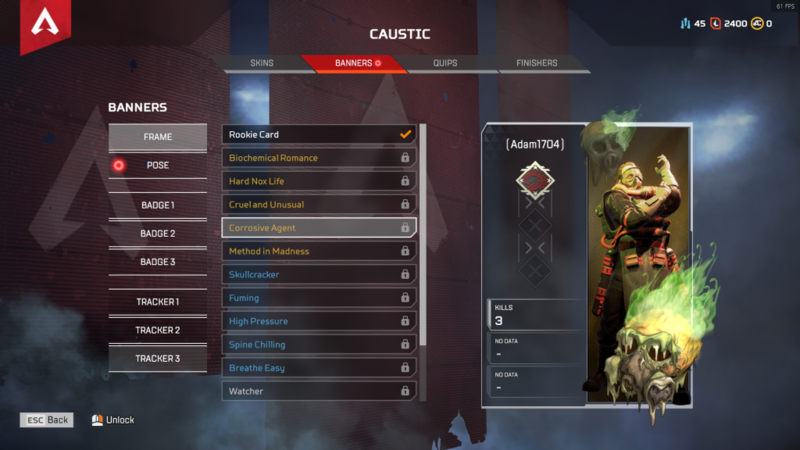 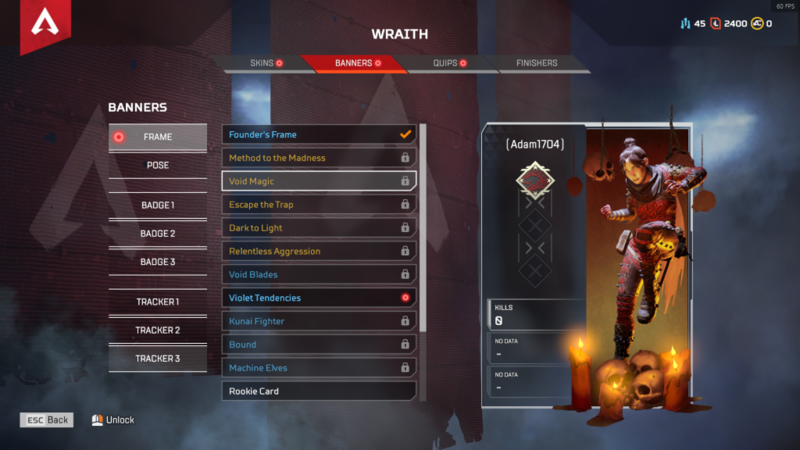 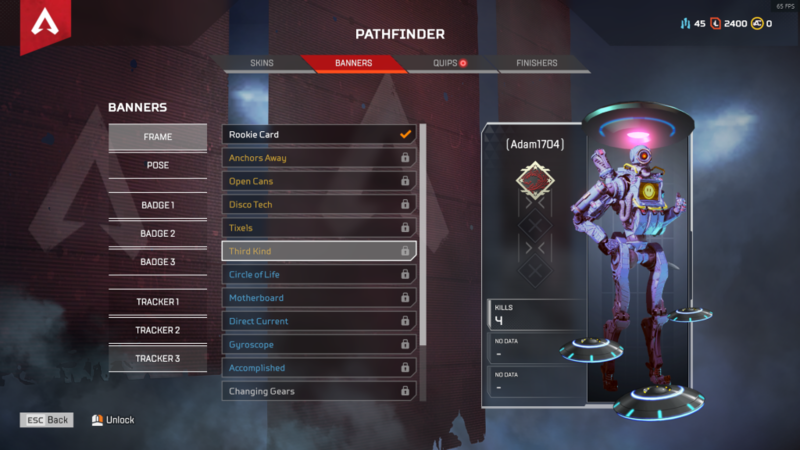 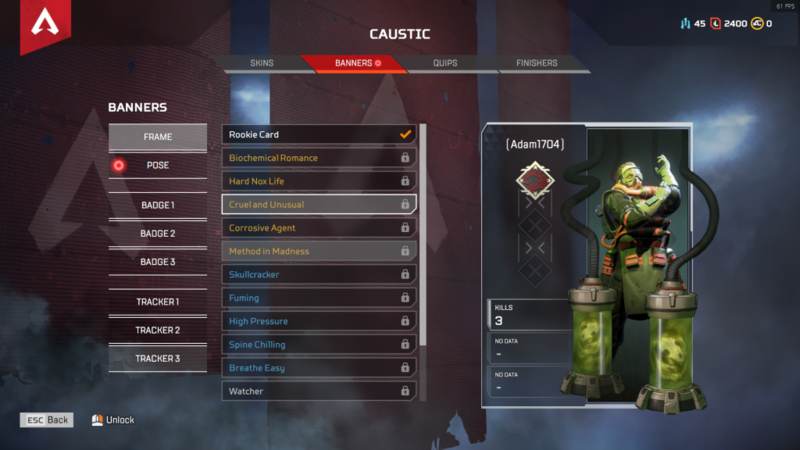 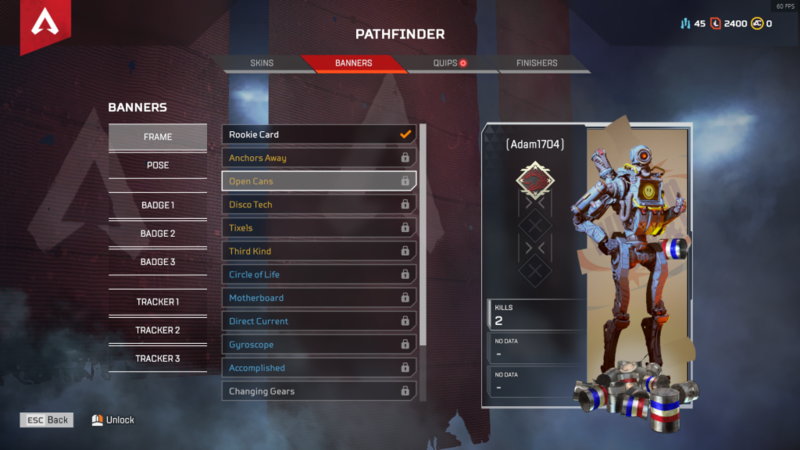 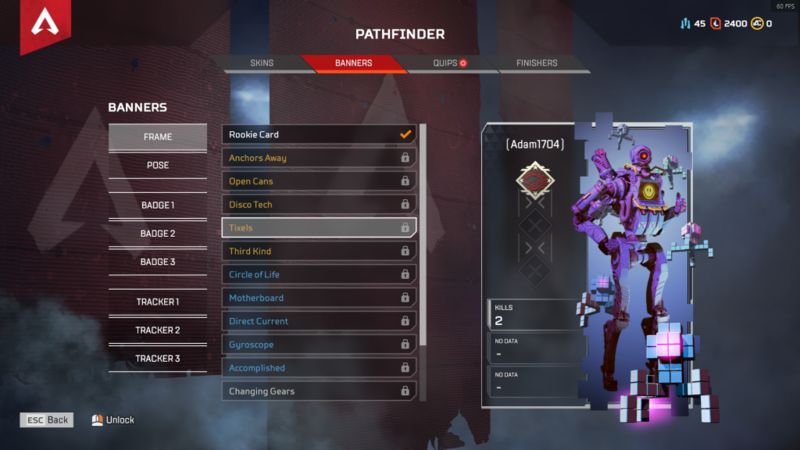 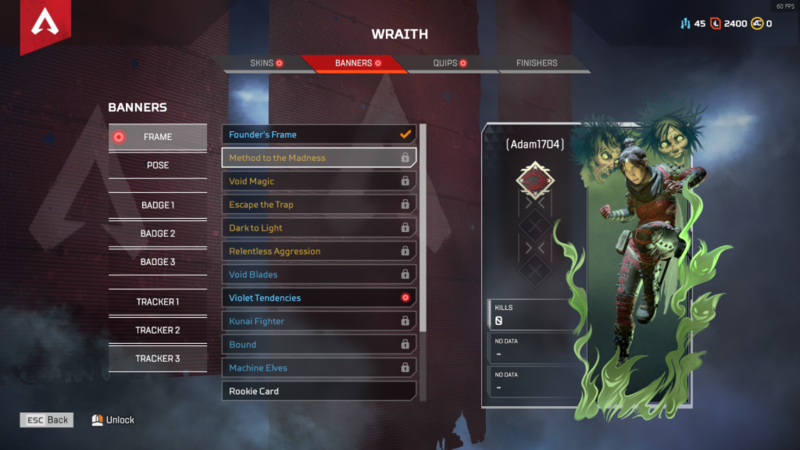 A banner is split up into multiple parts to give players the chance to fully customize their loadout. 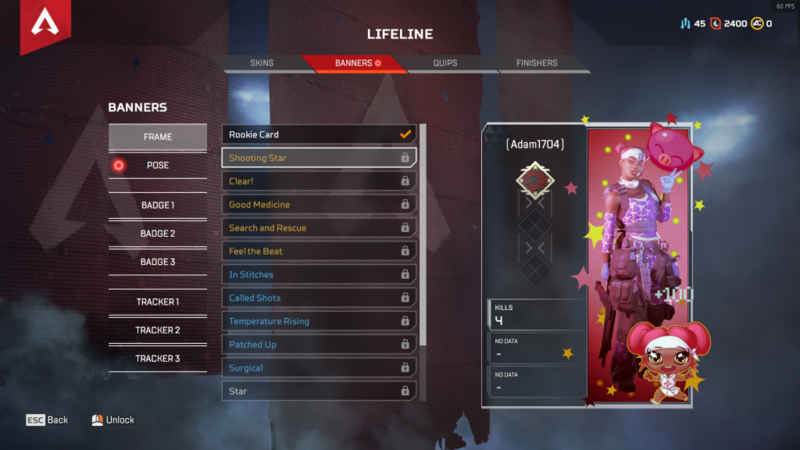 You have the frame which goes around the banner, the pose for the character, and all the badges we just mentioned. 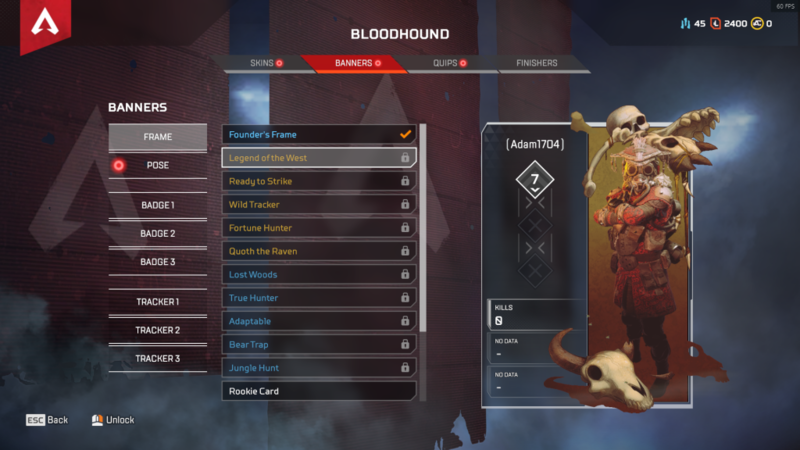 For those looking to really demonstrate what they are capable of though, animated legendary banner frames exists that really bring your character to life. 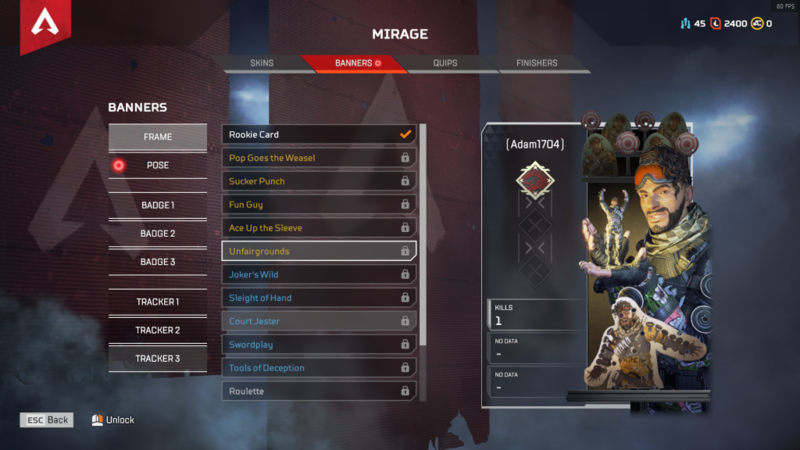 Each character has five banner frames at the time of writing, so if you see one of these when you next load up the game, presume your opponent is either very skilled, has a lot of spare cash, or got insanely lucky with a loot box.